After numerous man hours spent chasing leaks and thousands of dollars on repairs, National Coatings delivered Harbor Freight with a long-term solution without a costly tear-off. 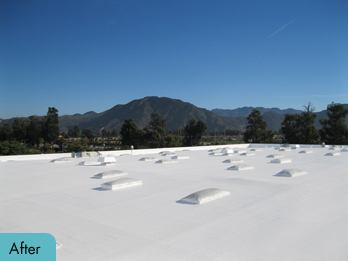 The AcryPly Emulsion Restoration System is a watertight, seamless roof that is easily maintainable with energy savings, lower life-cycle costs, and a cooler work environment inside the building. The building at Temple Emanuel in Beverly Hills, California contained a failing BUR substrate with extensive repair and failures around many of the seals. It was important to the school to restore the existing roof to a maintainable state without any major disruptions to the existing school in session. 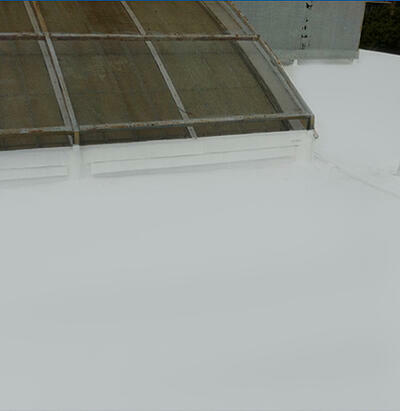 National Coatings installed the AcryPly Emulsion and Acrylic Roof Restoration System. 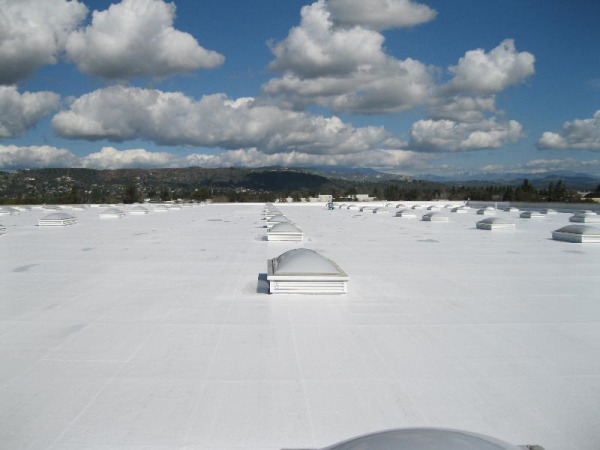 This system allowed all existing roof deficiencies to be addressed by installing a layer of emulsion and polyester reinforcing fabric to essentially build a new, fully adhered, monolithic roof system over the top of the existing BUR roof. 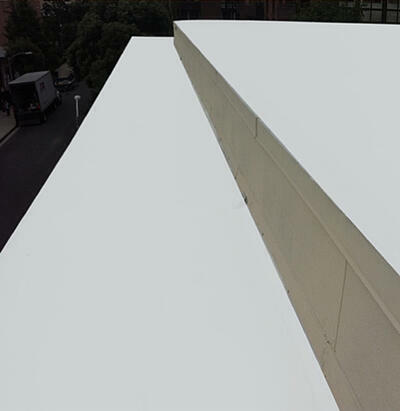 The AcryPly System provided Temple Emanuel Religious School with a non-disruptive roof containing high performance acrylic base and top coats with increased reflectivity in order to reduce their cooling costs. The application process was successful, causing no disruption to the students inside the building and the owners were very pleased they could restore their existing roof, avoid a tear-off, save a lot of money, and gain a system that will perform for many years to come. 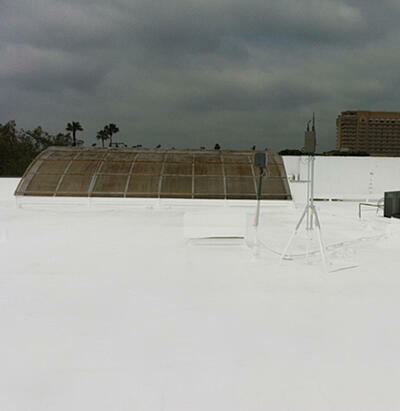 AcryPly Roof Restoration Systems can be applied over BUR, Modified Bitumen, EPDM, PVC, TPO, Hypalon, Metal and Transite. 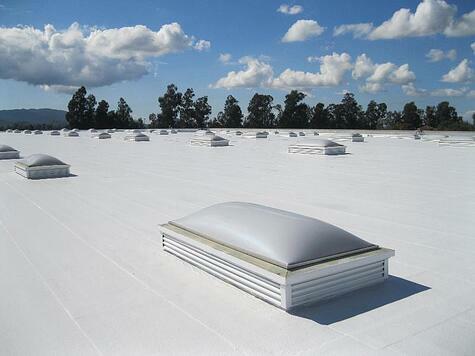 The roofing systems contain polyester fabric that is embedded into the base coat, across the entire roof field. This provides the existing roof with an extremely durable, reinforcing layer. The AcryShield base coats used in these restoration systems provide waterproofing, superior adhesion, resistance to ponded water, bleed-through protection and resistance to plasticizer migration. The AcryShield top coats provide industry leading UV protection, longevity and brightness. They are formulated for superior dirt pick-up resistance and protection against biological attack, such as algae and mold. The AcryPly All Acrylic System for roofing substrates that is smooth such as single-plies and metal. 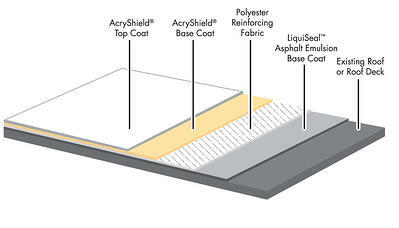 The AcryPly Emulsion and Acrylic System designed for asphalt, BUR, and Mod Bit roofing. 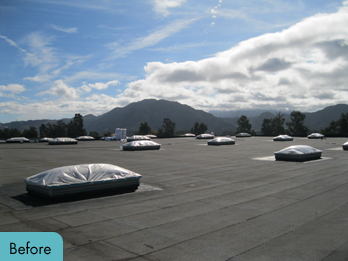 This system uses LiquiSeal™ emulsion, which economically fills in any cracks and voids typically found in asphalt roofing. This provides additional waterproofing and an outstanding foundation upon which to build the balance of the membrane.